Toilet cleaning…I hate it! I mean, what’s worse than cleaning a toilet? Umm…nothing. The only kind of toilet cleaning that I can really get behind is the kind where I don’t have to put much effort forth. That’s where these fabulous toilet cleaning bombs come in handy! You just drop a couple of these babies into your toilet and let them do the work for you! 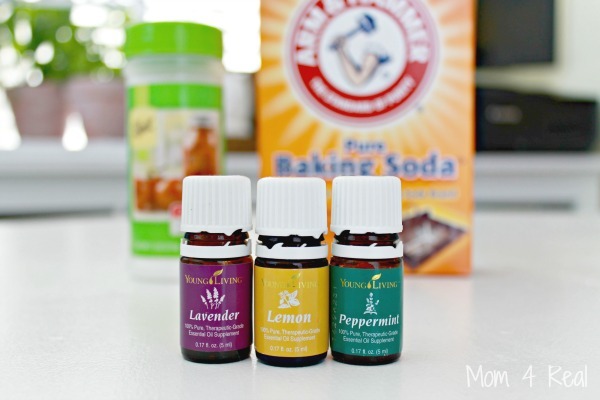 They smell amazing and aren’t full of harmful chemicals like the store bought versions! 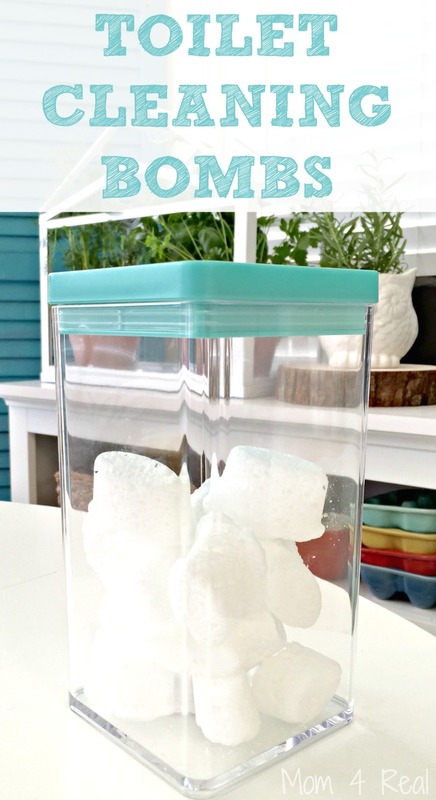 Let me show you how easy it is to make your own toilet cleaning bombs! This is what citric acid looks like. I find mine in the canning section of most stores. 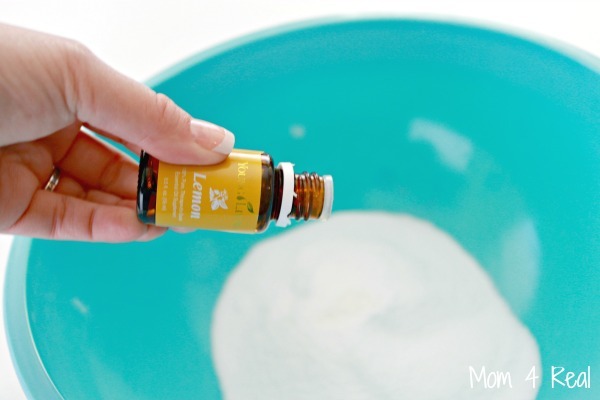 Add the citric acid and baking soda to a large bowl, then add your essential oils, being sure to whisk a little while adding. Now use a water spray bottle to add your water very slowly. Spray a little, stir a little. 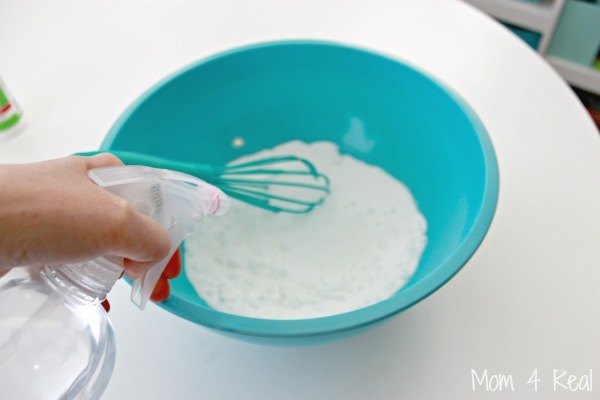 If you put your ear down to the bowl, you will be able to hear the mixture fizzing. 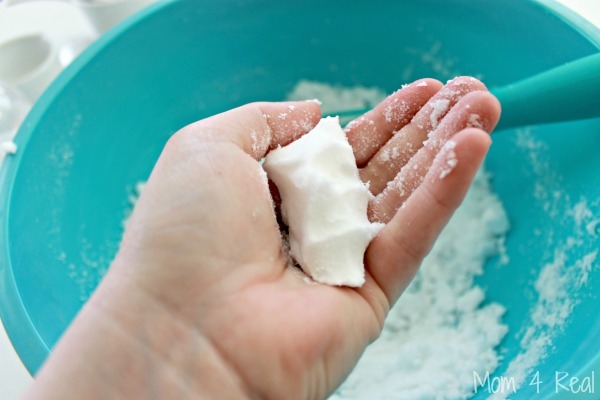 You want to continue to add water slowly until you can squeeze it a bit and it can be formed…kind of like playdough, but less dense. 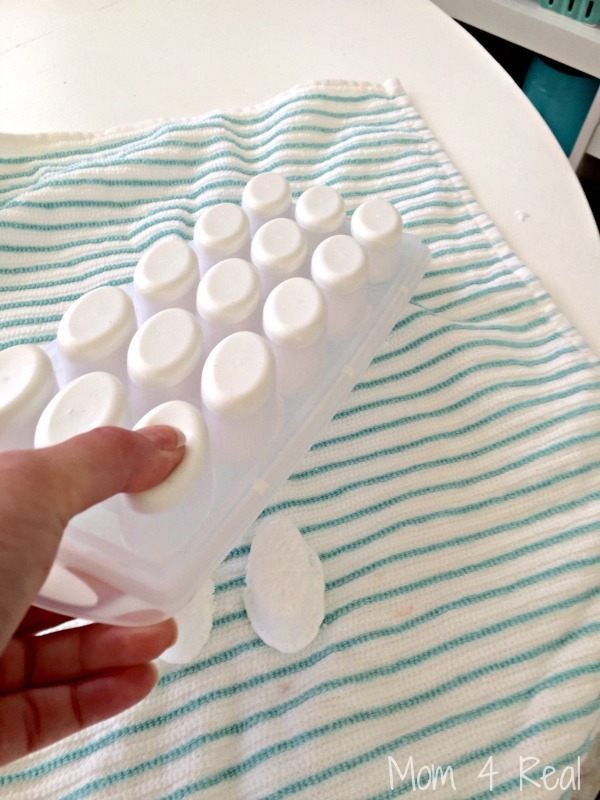 Now, press down into an ice cube tray. These will start to rise, and you will be able to hear them fizzing up. 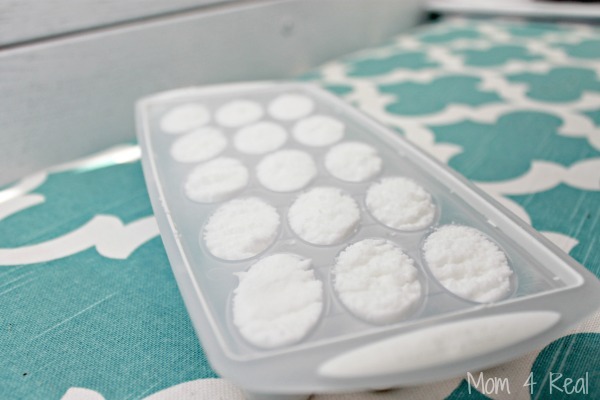 Wait an hour, then use a gift card or something similar to scrape the excess off the top and fill another ice cube tray with the excess. This mixture is actually enough to fill 3-4 ice cube trays depending on their size. Let them sit overnight, then pop them out of the tray and store them in an airtight container. I use two per toilet cleaning about once a week just to keep my toilets fresh and clean. Simply drop them into the toilet and watch them fiz away. Close the lid and let sit for about 20-30 minutes so they can do their job. 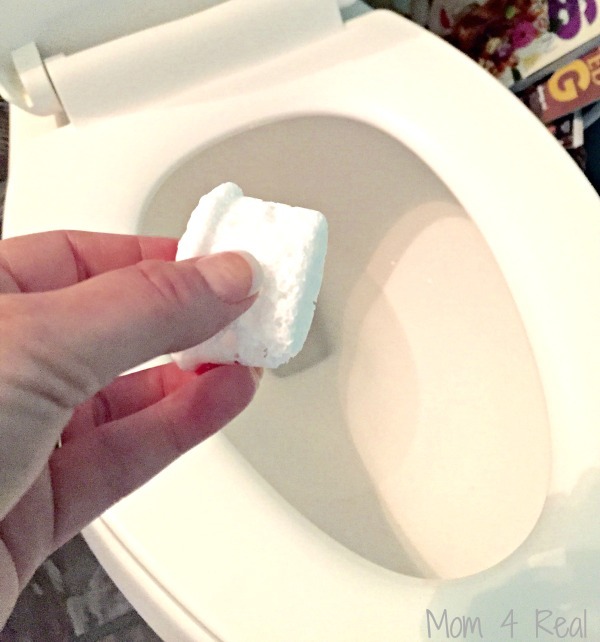 If you like, you can use a scrub brush and scrub the mixture around the toilet, or just flush and move on! 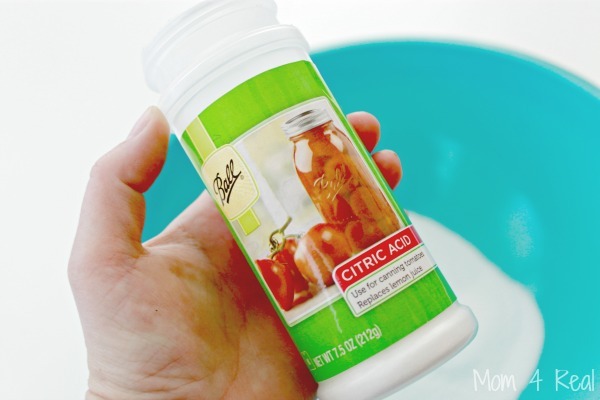 Your bathroom and toilet will smell clean and amazing!